Does this logo look familiar to any of you Provo residents? Ryan and I have passed this restaurant going east on University Parkway numerous times and have said "Isn't that where the old Magleby's use to be? Well, this place looks cool so we should try it out sometime." 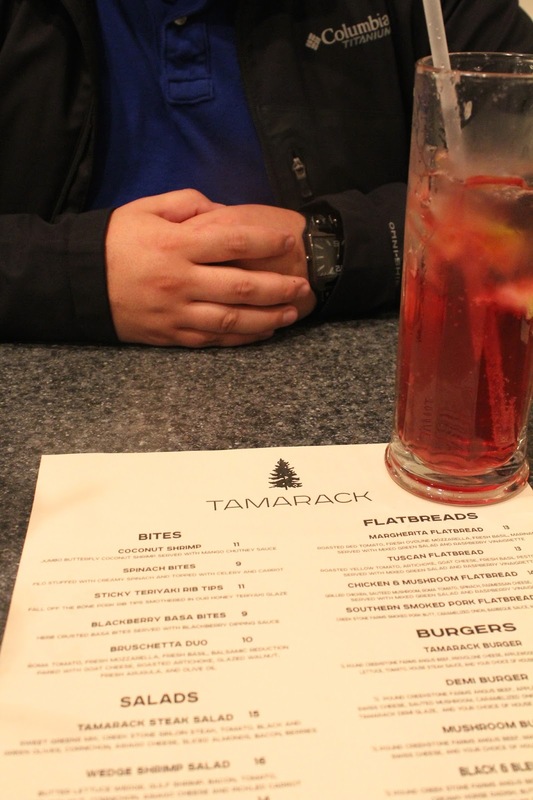 Tamarack happened to invite Ryan and I to try out their restaurant, so what better time for a fancy dinner than on my birthday weekend?! I never visited this location when previously occupied by other restaurants so I don't know the before/after transformation; but after walking around Tamarack I was stunned by the gorgeous interiors. If I could build my dream house it would be this blue, white, and brown color scheme and feel as cozy as Tamarack. We had SUCH a hard time picking out what we wanted to try out. When our waitress first brought the bread and butter, Ryan and I were already sold. Ryan kept on saying "this tastes like my Grandma's homemade bread on the ranch!" If we were so impressed by the simple bread and butter, we couldn't wait to dig into appetizers and entrees! We started off with some blackberry limaides and basa bites with berry dipping sauce. YUM. I got the shrimp fettuccine alfredo. OMG. I don't even know how to go about describing this deliciousness to you, but I'll try. The shrimp was large, perfectly cooked, and tasty. The pasta came with mushrooms, peppers, and bread with pesto/cheese on top. While the dish was a little more on the expensive side, I got a ton of pasta and even took home a box of it for later. Seriously, so good. Ryan got the "Tamarack Chop" which is a pork chop with a dried cherry barbecue glaze. He was in heaven!! We finished the night with a chocolate berry cobbler...which pretty much sells itself. It was a great ending to a delicious night filled with awesome food. 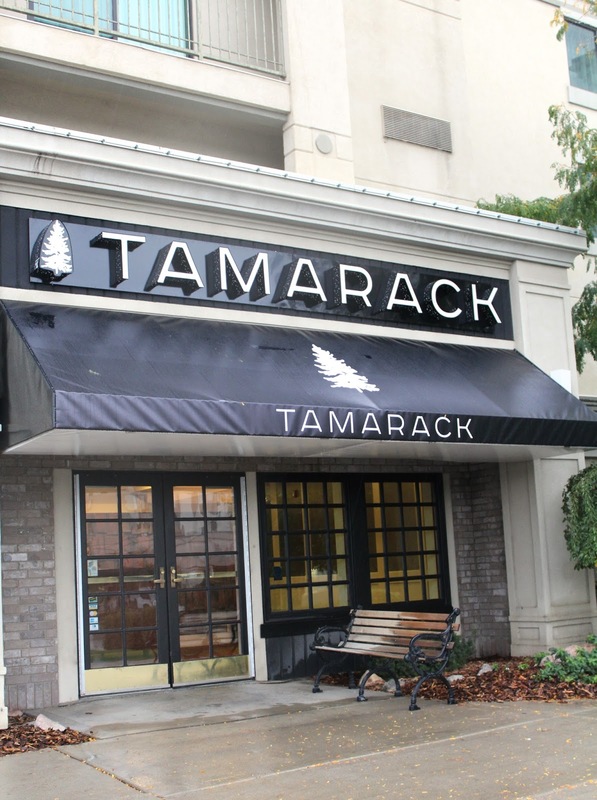 Make sure to swing by Tamarack and try out this fantastic new addition to the Provo food scene! this looks sooo good! Utah has some seriously good food places. One sec while I wipe the drool off my keyboard. We need to double date here ASAP!!!! !